By Allison Owen Now that I'm back in the swing of things with school and guard, I'm getting back into the usual routine. It's hard to believe that this is my last semester of high school. It's crazy to think that I'll be done with high school in May. In August when Finals week rolls around, I won't have to go back to school two days after Finals. It will be weird, but I won't complain. 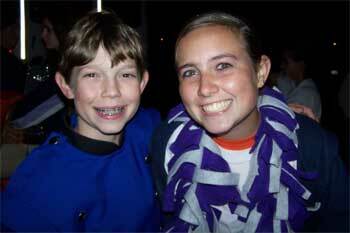 Allison Owen and her brother, Matt.